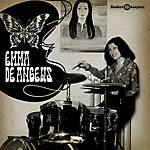 "The music of this record was stimulated by the theory and practice of biofeedback. It is aimed to create a calm, relaxed, meditative mood associated with alpha brain wave" --original back cover. 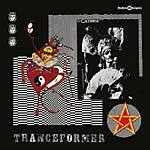 Part outsider electronic album, part physiological experiment, part work of art, this is not your average new age record. The brainchild of a reclusive Israeli multimedia artist fascinated with philosophy, technology, and sound by the name of Ami Shavit, In Alpha Mood is the result of a personal and artistic effort to both overcome a personal trauma and push the boundaries of a fledgling physiological understanding while utilizing the burgeoning domestic synthesizer technology of the late '60s and early '70s. 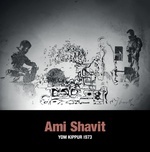 Shavit sought to combine his love of electronic music acts like Tangerine Dream, Philip Glass, and synthesizer technology with his fascination with the relatively new technique of biofeedback, but his work was interrupted when, in 1973, he was conscripted into the army during the Yom Kippur War. As he struggled to come to terms with his wartime experiences, he began adding battlefield soundbites to his recordings, and found a sort of catharsis. He returned to his work, and soon a longtime friend and owner of the Mango record shop (a Tel Aviv institution at the time) suggested he press some of his recordings on vinyl. Rather than cull disparate excerpts from his expansive tape archive of home recordings, Shavit began what would become the culmination of his years of experimentation and the centerpiece of his work with the music-induced state of working relaxation he called Alpha Mood. 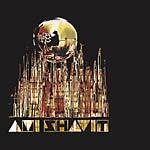 Recorded in Shavit's studio during a handful of sessions with no post-production, In Alpha Mood was mastered at Triton Studios (where Arik Einstein and Tamouz had also recorded), pressed by Hed Arzi Music (one of Israel's oldest and largest labels and manufacturers), and released on Shavit's Amis Records in 1977. 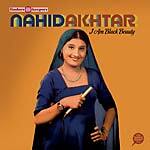 Only 500 copies of a planned run of 5000 were pressed, and, with no publicity, it was sold to discerning record-buyers with little or no understanding of the record or its maker outside of his status as a prominent visual artist. Apart from a handful of Alpha Mood exhibitions in Israel, those 500 copies and six remaining master tapes (including that of In Alpha Mood) are the only remaining artifacts of Shavit's Alpha Mood experiments. 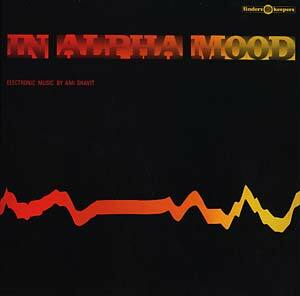 This first vinyl reissue of In Alpha Mood was remastered from the original master tapes sourced from Shavit's private archive.